The voltage of 220V used by high-voltage LED strip is dangerous. It is a safety hazard in some risk applications. The low-voltage LED strip works under the working voltage of DC 12V. It is a safe voltage and can be applied to each. In this case, there is no danger to the person. high-voltage LED light strip installation is relatively simple, you can directly use high-voltage drive to drive, the general factory can be directly configured, turn on the 220V power supply can work normally. The installation of the low-voltage LED flexible strip is to install a DC power supply in front of the strip, which is relatively complicated during installation. If you look at the two lights alone, the price of the LED Strip light is about the same, but it is different from the overall cost, because the high-voltage LED light is equipped with a high-voltage power supply, generally a power supply can carry 30~ 50 meters LED flexible light, and relatively high voltage strip is relatively low cost. The low-voltage LED light strip is equipped with a DC power supply. Generally, the power of the 1 meter 60-bead 5050 light strip is about 12~14W, which means that each meter light strip needs to be equipped with a DC power supply of about 15W, so that the low-voltage LED light strip The cost of construction will increase a lot, greatly higher than the high-voltage LED strip. Therefore, from the perspective of overall cost, the price of low-voltage LED strip is higher than that of high-voltage LED strips. The packaging of high-voltage LED strips and low-voltage LED strips are also very different. High-voltage LED flexible strips can generally be 50~100 m/roll; low-voltage LED strips can be up to 5~10 m/roll. 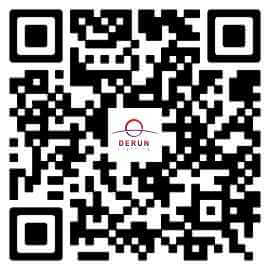 The DC power supply attenuation exceeding 10 meters will be very powerful. The service life of the low-voltage LED strip will be 50,000-100,000 hours, and the actual use can reach 30,000-50,000 hours. Because of the high voltage, the high-voltage LED strip has a much higher heat per unit length than the low-voltage LED strip, which directly affects the life of the high-voltage LED strip. Generally, the service life of the high voltage is about 10,000 hours. High voltage led strip is easy to install, but it is one meter and one cut, and the softness is not high, and the lighting effect is not as good as the low voltage light strip. The low voltage is generally 12V or 24V, and the safety is high, so it is more suitable for home decoration, especially for families with children and the elderly. Of course, the quality of the products you buy should be excellent. In addition, the low-voltage light bar can be cut according to the actual size, for example, 3528 120 lights / meter, 12V light bar can be accurate to 2.5CM as a unit, so there will be no dark corners, the home improvement effect is more perfect. 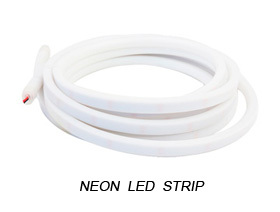 The waterproof performance of high pressure light strips is general. The low-voltage light bar can be divided into four levels, namely, epoxy waterproofing, casing waterproofing, waterproofing and nano waterproofing. This is unmatched by high-voltage strip lights. In summary, if the home improvement is still better than the low-voltage light bar~~ Now the LED product market is chaotic, the country has not yet introduced the standard for measuring and identification, so there are many fake and shoddy businesses on the market, from wires, chips, glue, circuit boards. All aspects of materials and circuit design may be shoddy, and ordinary consumers can’t distinguish between good and bad in a short period of time. 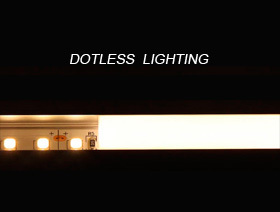 After half a year, one month, or even a few days, the brightness of the inferior light strips will be significantly reduced or even dead. So don’t be tempted to be cheap, please ask users to make reasonable choices according to their different use environments, so as not to waste resources. Both products require a finished product inspection before leaving the factory. Here you need to check the appearance of the product to see if there are poor soldering, solder balls, short circuits, etc. Then there is the electrical inspection to test whether the electrical properties of the product are intact and the parameters are correct.